A South-American (from Perù) convert sister wrote me regarding her condition. He's mother of a young baby daughter and not having any support she has to work to sustain herself and her daughter. She's a medical-nurse in a public hospital, and said she faced issues with her "boss" at work: he told her not to use the hijab after she asked him about it, and he said he didn't agree with her religious choice and invited her to leave her job. I don't think he has any right to do so and I thus invited her to contact her local trade union for help, support and advice, as well as informing her of the obligation of the hijab in order for her to have it clear its importance and obligation. But the question she asked me to forward is that, in case she may actually risk to be fired (and it's not just about her boss "not liking" her to be Muslims, which is a different story), would she be justified in not wearing the hijab at the workplace since she has to sustain her daughter and has no other support? And I guess that if that is so, should she actively look for an alternative job and leave this it as soon as she gets another suitable offer, right? 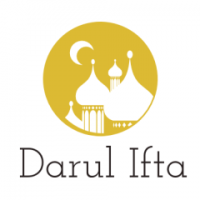 As I mentioned in an earlier fatwa which can be found on the Darul Ifta Birmingham website, wearing the Hijab is something which is Fardh in Islam. The sister in question should try to look for alternative jobs where she can maintain the Hijab. The very least she should do is wear a headscarf and wear loose clothing’s if she cannot wear the Burqa.